Posted in: Featured Tracks, Radio Control. 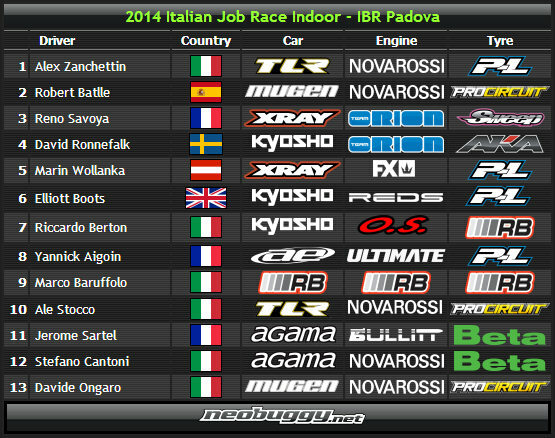 Alex Zanchettin won a somewhat crazy race in Italy at the Italian Job race held at IBR Padova. Fun fact is it had to be a bit of a good feeling for Novarossi as they lost Elliott Boots to REDS engines, and Elliott had put in fast times through qualifying. We will post the race via Neobuggy.net today when it arrives.